Fishing is now a form of recreational sport for all ages and audiences. Because outdoor sports are easy to navigate, regardless of age, economy, age, or place of residence. Fishing helps us relax, relax the mind, reduce the street after hours of stressful work. 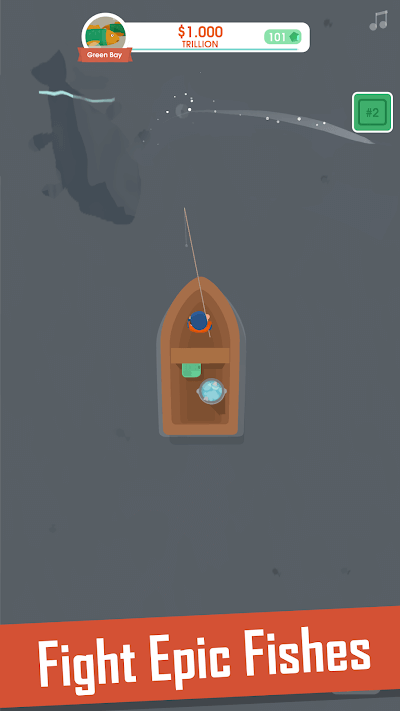 And if you’re tired of action-fighting games, today, let me introduce you to a unique game, simulated from fishing activities called Hooked Inc: Fisher Tycoon. The game is released by A Creative Endeavor AB, a publisher of highly entertaining, useful content for players, giving players peace of mind and satisfaction. When you participate in the game, then you will transform into a true fisher. You will be given a boat and full equipment of a “senior”. In a backdrop, you will be travelling out to sea to begin your adventure along with the crew. Make a lot of money to upgrade your fishing gear and your own craft! The gameplay is very simple. When you join you will be set in the midst of an ocean, underwater is the very fast swimming fish, across your spaceship. Your job is to release the sentence, then touch the screen, move continuously to the place where the fish swim. Then the fish will automatically be caught if you hit. 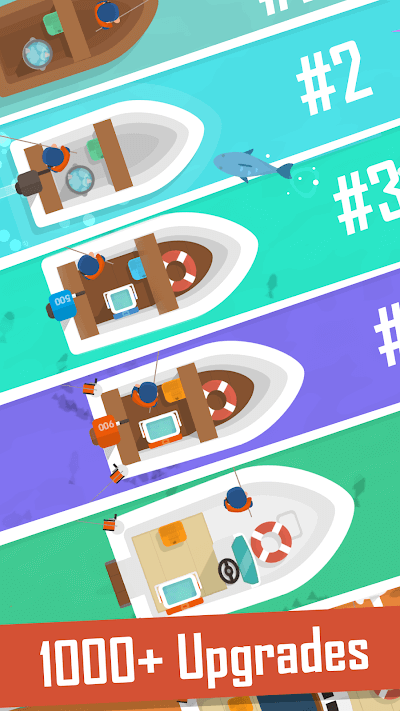 With each catch, you will receive some bonuses, experience and some points. When the experience and scores are good enough, you will be eligible to explore and advance to new waters with more rare fish species. You can upgrade up to 1000 different boat models for offshore fishing. Keep in mind that your money is limited, try to use the money for the right purpose. Find treasures hidden in the sea and boats with unique features. The game has a very simple graphics, designed in 3D pixel style. You will not be able to find the true fish as in Fishing Strike but you will definitely be satisfied with this game. 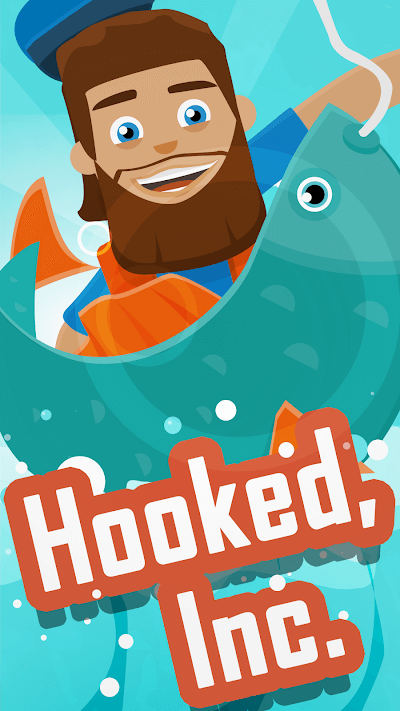 Hooked Inc: Fisher Tycoon MOD is a fun, addictive game where you have to install, become legendary in fishing sport and compete against your friends!